This volume provides a timely collection of the most germane studies and commentaries on the complex links between recent changes in national economies, welfare regimes, social inequalities, and population health. Drs. 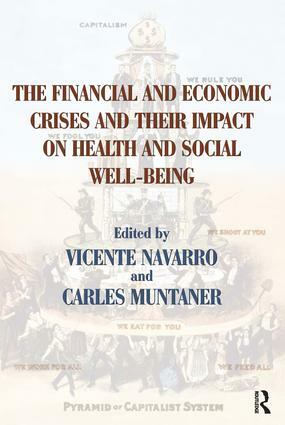 Vicente Navarro and Carles Muntaner have selected 24 representative articles, organized around six themes, from the widely read pages of the International Journal of Health Services (2006-2013) - articles that not only challenge conventional approaches to population health but offer new insights and robust results that critically advance public health scholarship. Part I applies a social-conflict perspective to better understand how political forces, processes, and institutions precede and give rise to social inequalities, economic instability, and population health. The need to politicize dominant (neoliberal) ideologies is emphasized, given its explanatory power to elucidate unequal power relations. The next four parts focus on the health impacts of growing inequalities and economic decline on government services and transfers (Part II); labor markets and employment conditions (Part III); welfare states and regimes (Part IV); and social class relations (Part V). Part VI advocates for a more politically engaged approach to population health and presents alternative solutions to achieving egalitarian outcomes, which, in turn, improve health and reduce health inequalities. Taken together, the works in this volume reflect IJHS 's collective commitment to publishing high-impact studies, inspiring fruitful debates, and advancing the discipline in new and essential ways. Emerging and established researchers as well as students and professionals committed to health equity matters will benefit from this book's astute contributions.